North Carolina has relatively stable and low sales tax rates for a mid-Atlantic state with nearly 8 million residents. The state’s general sales tax rate is 4.75% and depending on the city/county you are purchasing in, the local taxes can range from 4.8% to 8.25%. However, these local sales tax rates can be affected by federal court decisions, like the latest hearing by the Supreme Court this April. The case could be settled in several different ways, but it ultimately will come down to one of two outcomes: in favor of South Dakota, which means that online retailers will now be the sales tax police; or for Wayfair, which means that Congress will need legislation to address the issue. In most of the USA, sales taxes are transaction type of taxes that are placed on the sale (or in some cases on the lease) of services and goods in a county/city/state. If you purchase something in a place that levies sales tax, the seller will add the tax onto your total purchase and the tax is paid with the transaction. This transaction type of tax contrasts against property taxes or income taxes in who pays them. If you don’t own property (real estate, a car, or boat), then you likely are not paying property taxes; however, the moment you purchase something, sales taxes are paid. There are 45 US states that have sales taxes, including the great state of North Carolina. This state also has some selective sales taxes on the sale of specific products, like boats, cars, planes, and certain grocery items. Generally speaking, these taxes are calculated in a simple way: the purchase price is multiplied by the corresponding tax rate. While most consumers and business owners know what sales tax is, use tax will draw questions and blank looks. It’s important to know that the seller is supposed to collect the tax at the time of sale (this is most important when selling online). On the other hand, use tax is self-assessed by the buyer who didn’t pay sales tax (it’s the same rate). So when selling items to NC residents, the seller should collect sales taxes from the buyer and if the seller does NOT charge sales tax then the buyer should “self-assess” the use tax. When we are discussing the sales taxes in North Carolina we also have to mention the term “nexus”, which is the technical term representing “the responsibility to collect sales taxes within a state/county/city.” This is an important issue for businesses that are present in multiple states, as states may assess their states’ sales taxes on sales that are not otherwise taxed in another state. Nexus for sales tax purposes in NC is mostly based on physical presence, whether its an office, employee, contractor, agent, or even a warehouse. From that basic definition, it gets complicated based on what the item being sold is and the possibilities for nexus are too vast to mention for these purposes. However, one other important aspect of nexus iis that North Carolina is a destination-based state for purposes of making a taxable sale. This means that North Carolina residents are collecting sales taxes at the rate of the location where the business is located. In other words, a Charlotte (CLT) retailer collects sales tax at the local CLT rate, but if a retailer in Raleigh sells/ships a product to a customer in CLT, then the sales taxes collected should be at the CLT rate. As many experts have pointed out (GMP CPA included), this case is basically a clash between brick and mortar retailers and online retailers that will have an impact on states, businesses and ordinary people. Interestingly enough, North Carolina doesn’t rely as much on sales tax collection as other states, especially since NC has a statewide income tax collected through payroll deductions. According to NC publically available data on overall state revenue collections, the percent of state revenue from sales taxes in NC is less than 30%. For reference, there are states that rely on almost half of their annual budget (45%) from sales tax collections. If the court rules in favor of the states, North Carolina would stand to gain millions of dollars in tax revenue and force out-of-state retailers to have “nexus” for NC sales taxes. Of course, many large companies were already complying with these concepts, but smaller Amazon, Ebay, Etsy and other online retailers were under the radar and offering a slight price advantage by taking advantage of the lack of a court ruling. A side effect of this decision could subject smaller online retailers to an massive compliance burden that could force them to register for sales taxes in all states that they customers in. Having to comply with all the sales tax laws for each and every state would likely drive some small businesses out of the market or mad (or both!). The final decision in this case is scheduled for this June and those of us at GMP CPA are getting anxious about the outcome. It’s not too late to get ahead of the Supreme Court decision, whichever way it goes, and start making changes to your business to be compliant. We would be happy to take at look at your current sales tax calculations and give you a pat on the back or steer you toward a better way. 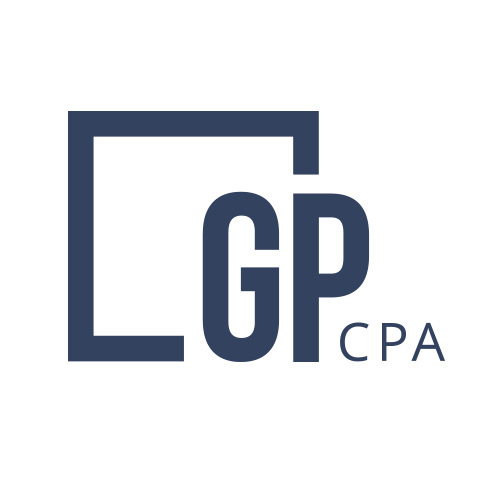 Don’t wait until an audit or notice from the state, contact Gary M Prusiensky, CPA PC now.